There are SEVEN bands named Dissident. 1) Dissident from Russia. 2) Dissident from Australia. 3) Dissident from Bulgaria. 4) Dissident from Valparaiso, Chile 5) Dissident from Switzerland 6) Dissident from Sheffield, England 7) Dissident from Eskilstuna, Sweden 1) Dissident is the production name of Russian based Stanislav Sevostyanikhin. Residing in St.Petersburg at the Baltic sea shore, he spends most of his time slicing beats, sampling street sounds and creating trends in modern music culture. 1) Dissident is the production name of Russian based Stanislav Sevostyanikhin. Residing in St.Petersburg at the Baltic sea shore, he spends most of his time slicing beats, sampling street sounds and creating trends in modern music culture. He is influenced by very different kinds of music that allowed him to produce such diverse and truly innovative tunes. Dissident lists 4hero, Photek, Alaska, Matrix, Portishead, DJ Krush, DJ Vadim, Future Sound of London, Massive Attack, Kraftwerk, Prodigy, Squarepusher, Aphex Twin, Miles Davis, Jan Garbarek, Gary Peacock on top of his inspirations list. 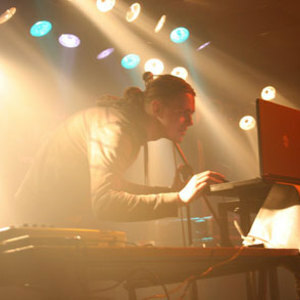 Stas started to produce electronic music in early 1996. He was influenced by techno & breakbeat in general. Shortly after he turned to dark-side and created his first drum'n'bass project called T.Step Collective (featuring Aspekt, Nec and MC Akim) who in 1998 renamed themselves to Dissonance. They had enough success in Russia, with many releases and performances. After gaining some experience in the industry, he quit the project and went on to produce solo in 2001. Dissident collaborated with different artists, such as Sta & Paul B, Ruffen, Bes, Uzhas and many others. The sound that he had polished was ready to be taken onto the world scene and his first release ?Technecium? (made with Paul B) abroad was on the famous British label Renegade Hardware in 2002. Dissident then signed up to a new American imprint called Fear Red with his innovative tune ?Fuji? / "Last DNA Donor". Eventually Stas started to get bored of the techno sound and began to research other depths of drum&bass for more depth and detail. These days he finds himself using more acoustic instruments, deep ambient atmospheres, glitches and drum breaks in his musical output. His sound is always surprising, spanking fresh and catchy. Tunes that you can dance to and also listen to. Today Stanislav has released three long player albums on TAM Records, a label he co-owns with Bes. Forthcoming material is scheduled for a release on different labels ? Subvert Central, Counter intelligence, Vibez, Mangofunk, Exegene, Step2Zero and Gamma Ray. As a dj, Dissident performed alongside LTJ Bukem, Paradox, Nookie, Seba, Goldie, Bad Company, Fabio, Grooverider, Matrix, Ill.skillz, Cause4Concern and many many others. In the studio, Dissident lists the Soviet synthesizer "Polyvox" as his favourite tool to create the unique sounds he's become known for. Legendary Polyvox is the portable analog synthesizer which is designed for playing different musical compositions of any genre. It is also intended for creating musical effects in cinema and play scoring in the studio. Although Dissident is now considered a veteran in the Russian DNB scene, his current works is only the beginning of a bright future on the international scene. Dissident's first import LP ?Escapism? comes out on Toronto's based Gamma Ray Records, ran by a fellow Russian dj Wizard (Alex Zakharov). The LP is expected to be out in May of 2006 on a 3x12? vinyl format with a 12? sampler featuring a remix from a fellow countrymate producer Electrosoul System on the flip. 2) Fortress singer Scott's project. 3) Dissident is a crust / punk band from Varna, Bulgaria.